This species is accepted, and its native range is Temp. Eurasia to Indo-China. It is used as a medicine. Adventicia en Colombia; Alt. 1700 - 3600 m.; Andes. Alt. 1700 - 3600 m.
Flowers and leaves - used in liquid medicines to alleviate stomachache (Lagos-López 2007). 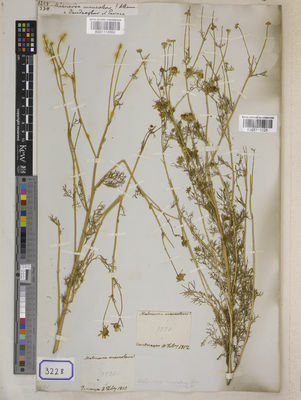 Stems and flowers - Used in liquid medicines in the treatment of stomach complaints (Cadena González 2010). 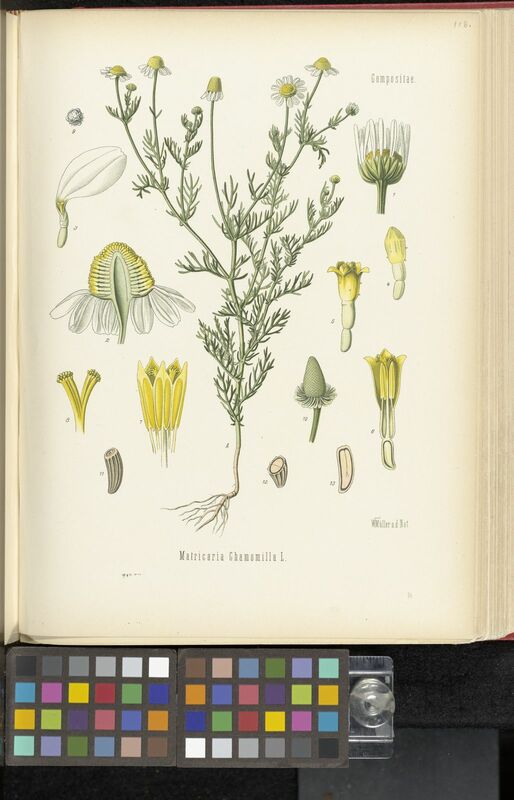 Stems, leaves and flowers - Used in topical medications and massages (Cadena González 2010). Flowers - Used in liquid medicines as an anti-inflammatory (Lagos-López 2007). Stems, leaves and flowers - Used in liquid medicines as a relaxant (Cadena González 2010). Stems, leaves and flowers - Used in topical medications and massages (Cadena González 2010). Flowers - Used in liquid medicines to alleviate spasms (Lagos-López 2007). Flowers - Used in liquid medicines (Lagos-López 2007, Cadena González 2010, Florez-Cárdenas et al. 2010). Used in medicines to alleviate pain (Lagos-López 2007). Used in the treatment of early or high-risk childbirth (Florez-Cárdenas et al. 2010). Used in liquid medicines for the treatment of conjunctivitis (Lagos-López 2007). 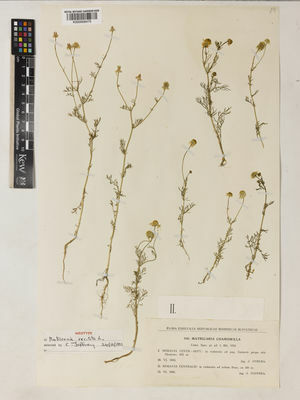 Matricaria chamomilla var. coronata Boiss. 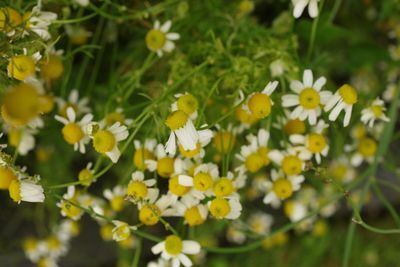 Pyrethrum hispanicum Salzm. ex Boiss. Manzanilla matricaria, manzanilla amarga, manzanilla grande, manzanilla dulce.